Angelina Jolie’s “First They Killed My Father” is far and away her best work as a director: a rare film about a national tragedy told through the eyes and mind of a child, and as fine a war movie as has ever been made. New York Times Movie Review: First They Killed My Father. 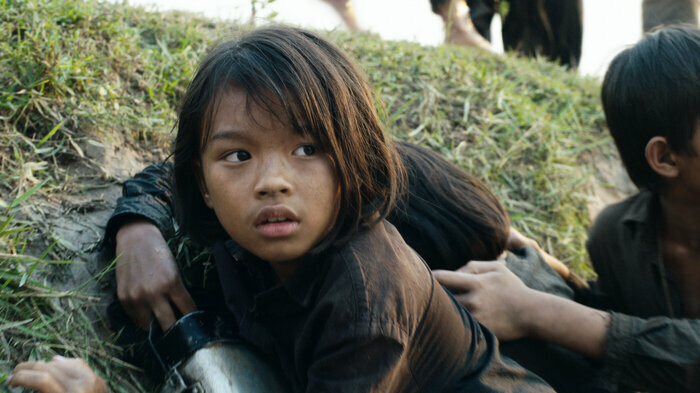 Film Review: In Angelina Jolie’s New Movie, a Child’s-Eye View of War. NPR: All Things Considered. 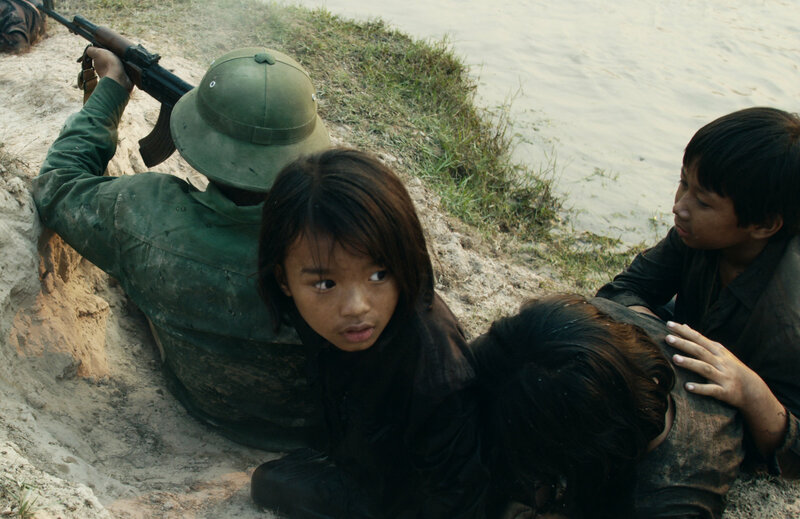 The film First They Killed My Father begins in 1975 Cambodia, during the rise of the Khmer Rouge. The hard-line communist regime aimed to deport an entire nation into the countryside and form an agrarian utopia — but their experiment failed. People were forced to work, and they were also tortured, starved and executed. In the end, around a quarter of the country’s population — roughly 2 million people — died. Angelina Jolie & Loung Ung answer viewers questions. On February 18th, the Cambodian premiere of the Netflix original film FIRST THEY KILLED MY FATHER took place at the Terrace of the Elephants at the Angkor Wat Temple Complex in Siem Reap, Cambodia, ahead of the film’s worldwide release later this year on Netflix. This was a special event for the people of Cambodia, attended by His Majesty King Norodom Sihamoni and Her Majesty Queen Mother Norodom Monineath, in addition to Angelina Jolie, Loung Ung and Rithy Panh. Will Angelina Jolie Movie Help Renew Khmer Language? Angelina Jolie’s latest directorial effort is a first for her and many others. The movie, “First They Killed My Father,” was filmed entirely in Cambodia and in the Khmer language. read more….